Expert bid and tender writers for the health, community and human service sectors. 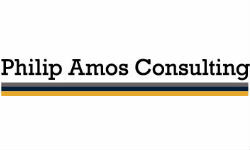 Amos Consulting is a leading boutique business development consultancy specialising in the health, community, and human services sectors. Our team is passionate about contributing to meaningful projects in these sectors that make a positive difference in people’s lives. We specialise in preparing complex bids, proposals, and business cases for State and Commonwealth Government tenders. Since 2008, we have helped our clients to secure contracts for services that total more than $300 million. With 10 years’ experience in the sector, Amos Consulting has helped organisations to develop new and innovative services, build service partnerships and consortia, navigate sector reform, and improve financial sustainability. We are trusted by not-for-profits across Australia, with clients including national organisations such as The Salvation Army and Life Without Barriers and specialists such as Providential Homes and the Aboriginal Health and Medical Research Council of NSW. Amos Consulting is a trusted partner and adviser, assisting not-for-profits to navigate the business development environment. Our business development services help health, community and human services organisations identify markets, assess opportunities, position themselves within the service landscape, and pursue and win new service revenue and contracts. We offer a suite of specialist business development services. Preparation of tenders, bids, grants, proposals and business cases: Our skilled team designs and delivers strong and highly persuasive submissions for State and Commonwealth Government, Primary Health Networks, and Local Health Network tender opportunities. Business development strategies: We can assist with business development planning, small and large projects, and design whole-of-organisation business development strategies. Service Development and Innovation: Demands for innovation, service redesign or new models of care are a regular feature of our sector. Amos Consulting has had the privilege of working with our clients on ground-breaking projects such as: social bond projects; integrated service delivery models; and sector reform projects. Performance Reviews: Offering an independent evaluation, Amos Consulting can advise you how to: improve the quality of your internal business development and tender preparation processes; mentor and train staff; seek and analyse feedback from funders; and take early action to prepare you ahead of retendering for critical contracts. Consortium Development: Amos Consulting can facilitate the development and implementation of consortia and organisational partnerships. We also work with individual clients, developing internal business cases for participation, advising on consortium and bid strategies, and producing bid materials. When the ACT Government merged its portfolio of youth homelessness accommodation into a single contract, Amos Consulting worked with The Salvation Army to develop a new regional service model. Working with The Salvation Army’s OASIS service managers and team, we helped develop a proposal that offered the government a better integrated and more person-centred response to youth homelessness. The proposal was successful, resulting in The Salvation Army expanding their OASIS service model to four residential services in the ACT. The Department of the Prime Minister and Cabinet’s 2014 Indigenous Advancement Strategy was a contentious and challenging reform to Indigenous programs valued at more than $2 billion. Amos Consulting assisted two clients—New Horizons Enterprises and Lives Lived Well—to navigate the changed funding model and outcomes assessment processes. In a short timeframe, our team analysed program data to distil and present evidence of program outcomes that the Department required under the funding criteria. 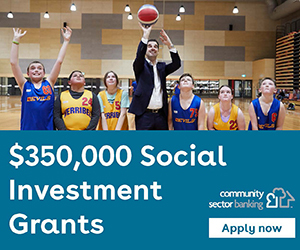 As a result, both New Horizons Enterprises and Lives Lived Well were successful in their funding applications for IAS services. Providential Homes, an energetic new not-for-profit housing and homelessness organisation, approached Amos Consulting to help it gain contracts from the NSW Government. Amos Consulting assisted Providential Homes to develop a tender strategy, and educated the organisation in relation to State Government procurement processes. As a result, Providential Homes won its first major tender submission – a contract with the NSW Government Department of Family and Community Services to deliver new Supported Temporary Accommodation services. As a result, Providential Homes now has secure funding and can prepare for the future with certainty. The Mental Illness Fellowship of Australia(MIFA) engaged Amos Consulting to identify, develop and support member organisations to access new markets for mental health services. Amos Consulting provided ongoing consultancy advice and support that enabled Fellowship members to move successfully into new service markets created by Primary Health Networks, including for suicide prevention, low-intensity mental health services, and services for people with severe mental illness. Central to our role was the facilitation of a partnership which enabled MIFA members to license beyondblue’s NewAccess Low Intensity Cognitive Behavioural Therapy model.